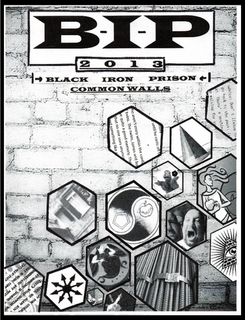 Black Iron Prison 2013: Common Walls is a collection of essays that explore the idea that while our collection of experiences are unique, the experience itself is shared. It tries to do away with the nihilistic narcissism so prevalent in today's society, and foster a sense of belonging, of commonality. At the same time, it takes pains to avoid advocating for blind tribalism and conformity. In the end, Common Walls is a group of people writing about what it means to be alive and conscious in 2013, and what we should do with the other seven billion people on the planet. You can purchase a physical copy from lulu, you can download a copy from here, or you can read a hosted copy Now.